(10-09-2018 11:06 PM)Cyniclone Wrote: If ODU wins, they'll go 5-7 and maybe do some rejiggering of the coaching staff, particularly on defense. 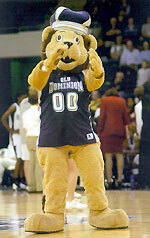 If ODU loses, the bottom falls out and finish 2-10. No clue which way it goes. you think we lose to Rice as well? Not in a game that's played in a vacuum, but I think if ODU loses at home here, I think they don't recover, limping past VMI but losing the rest of their games heading into a meaningless game against an equally bad team in front of a bunch of bleachers to end a season that effectively was over more than a month ago. In those circumstances, I can see the team not being especially amped to play and/or the coaches run a lot of kids to see what they can do in game conditions, and in either case, I can see ODU losing one more time to mercifully put a dagger in the heart (such as it is) of 2018. Shifting the topic just a bit, what's the over/under on actual fannies in seats for Saturday? (10-10-2018 10:16 PM)TheDancinMonarch Wrote: Shifting the topic just a bit, what's the over/under on actual fannies in seats for Saturday? Put my fanny down for 1. 4 folks in our group. 3 with fannies. 1 without. (10-11-2018 08:25 AM)ODUDrunkard13 Wrote: 4 folks in our group. 3 with fannies. 1 without. Thoughts and prayers for the one without a fannie. Any updates on Cox's injury last week? (10-11-2018 11:41 AM)AimHigh Wrote: Any updates on Cox's injury last week? Only that he's listed at starter on depth chart. Noticed Spencer was way down it.....redshirt? This would be a satisfying win. Hope it happens. Don’t know which team is going to show up Saturday - Jekyll or Hyde. But feeling cautiously optimistic. Agree. I think we win this one. Marshall is not FAU good. Don't put too much faith in the depth chart. There is a player still listed who walked away from the program around the time of the ECU game. There have been some minor shake-ups, especially on D (no shocker given the coaching change) and mostly with players who have only a marginal chance of seeing playing time that aren't reflected either. Yeah, thats typical. Just dont remember him from fAU so thought maybe it was a redshirt thing. They'd like to redshirt Spencer, Fox is done for the year, Cox could be game time decision, Hendricks also. I forgot that Hendricks was banged up. I think that was ECU? I haven't seen Spencer play since the VT game. When BL was named the starter after the game I was looking forward to seeing him have 3 huge targets Duhart, Fulgham, and Spencer. Grommet, is it an offensive player? I have speculations of one offensive player who played the first 4 games. I didn't see this player at the ECU game or seen him on TV on sidelines at FAU. If I don't see him on the sidelines today I'll drop a hint after the game. We really can win this game if we play up to our capabilities, especially on defense. I'm hoping the DC change just switches things up and get them going. Sell out to stop the run, put a safety on Bradys side and make them beat us through the air. (10-13-2018 09:56 AM)Gilesfan Wrote: We really can win this game if we play up to our capabilities, especially on defense. I'm hoping the DC change just switches things up and get them going. Sell out to stop the run, put a safety on Bradys side and make them beat us through the air. RB Cox out for this game.